Holy Mole. I can’t think of a better way to spend a spring evening than sipping a margarita under the shade of Los Hermanos’ lemon tree. 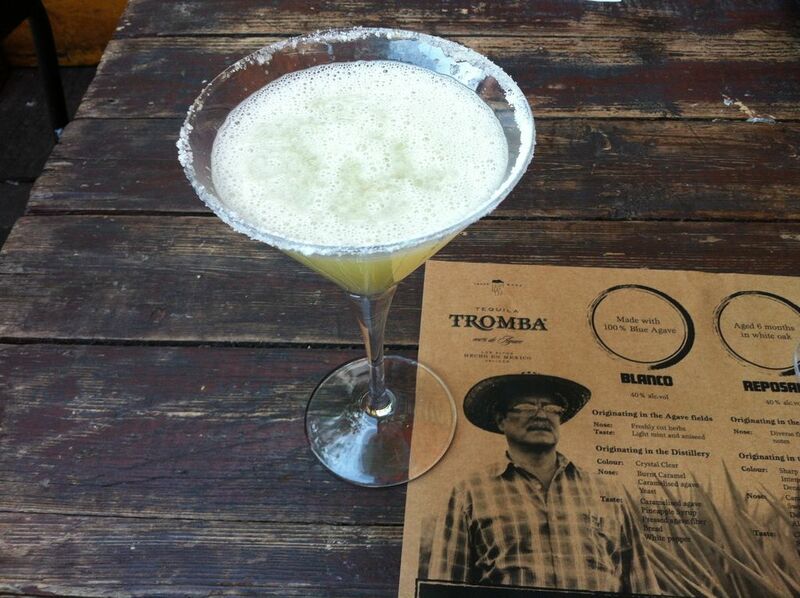 The Mexican style bar and restaurant teamed up with Tromba to launch their first tequila masterclass. We were treated to cocktails, a tequila flight, and delish Mexican food. Bartender Matty started the night with a margarita making demonstration. His favourite tip – it’s all about the over-pour. Next up Nick and Jason from Tromba walked us through some tequila appreciation. Did you know that tequila is a product of origin like champagne? The spirit must come from agave grown in Central Mexico. Unlike whisky or rum that derive their primary flavours from blending and barrel ageing, much of the art in tequila comes from the agave plant. The succulent takes over eight years to grow and must also be picked at the right time. If you’ve had a bad tequila experience in the past, odds are you were drinking a ‘mixto’ that contained other additives and was sweetened with products like corn sugar. So make sure you look for the 100% agave label. 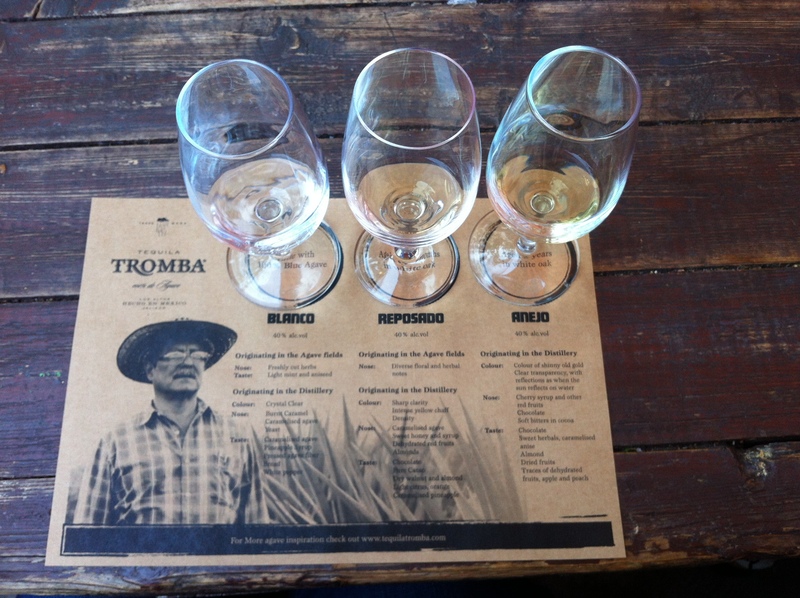 After learning more about the noble agave plant, we were ready to try Tromba’s tequila flight. First up was the Blanco. This spirit hasn’t touched an oak barrel and was compared to a “naked woman” as it’s straight from the still and has nothing to hide behind. Following our “naked” tasting, we sampled the Reposado and the Anejo tequilas. Tromba ages these tequilas in Jack Daniels bourbon barrels, giving the drinks a sweeter flavour and tasting notes like chocolate, dried fruit, and almond. It also makes tequila a versatile spirit – we sampled it in place of whisky in an old-fashioned and Jason confessed to a love affair with Rosita – a tequila based negroni. 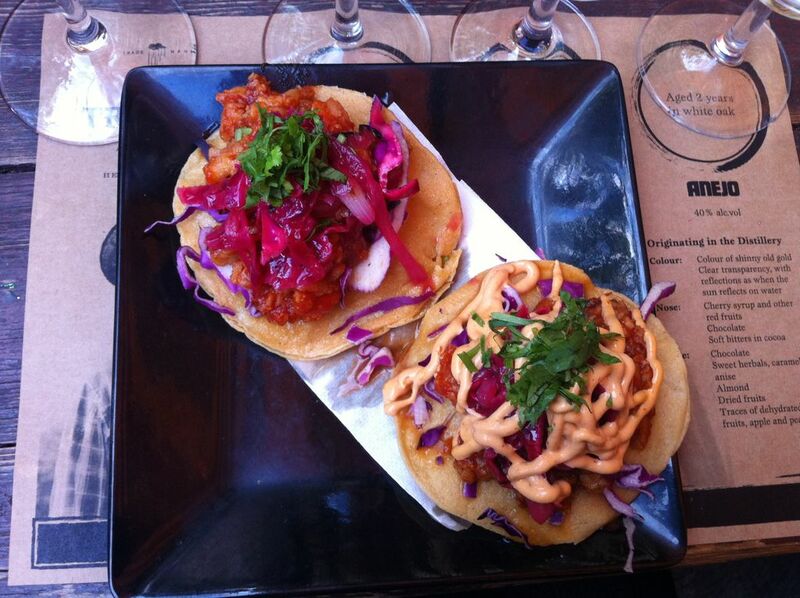 Los Hermano’s created a special tasting menu to compliment the drinks. Tostada and Soapes were stacked high with chipotle spiced fish, traditional slow-cooked pork, and smoky mushrooms for the vegetarians. Owner Bruno Carreto came to Melbourne from Mexico as a child and spoke with love about the soapes’ mole. Every grandmother has a secret recipe for this special sauce and ours was flavoured with twenty three different ingredients. It was a pleasure to spend the evening with owners passionate about quality ingredients and vibrant flavours. I’ll raise a glass of 100% agave to that. Jenny loves tequila and tacos. She also loves sharing that love. Los Hermanos plans to turn the tequila master class into a regular event and Tromba also have some exciting events up their sleeve for the new year. In the meantime, drop by Los Hermanos for a refreshing paloma or margarita. Disclosure: The Plus Ones were invited guests of Los Hermanos and Tromba.